I feel compelled to respond to the frequent references to spooky action at a distance that often accompany reports of experiments investigating entangled quantum mechanical states. Most, but not all, of these articles have appeared in the popular press. 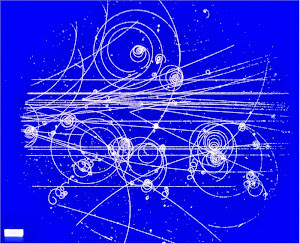 As an experimentalist I have great admiration for such experiments and the concomitant advances in quantum information and quantum computing, but accompanying claims of action at a distance are quite simply nonsense. Some physicists and philosophers of science have bought into the story by promoting the nonlocal nature of quantum mechanics. In 1964, John Bell proved that classical hidden variable theories cannot reproduce the predictions of quantum mechanics unless they employ some type of action at a distance. I have no problem with this conclusion. Unfortunately, Bell later expanded his analysis and mistakenly deduced that quantum mechanics and by implication nature herself are nonlocal. He has some additional argument in Making Sense of Bell's Theorem and Quantum Nonlocality. He is correct. His explanations are routine textbook stuff, with nothing particularly original. None of it would need to be said, except that most of the popular explanations of quantum mechanics insist on saying that the theory is nonlocal. Some physicists even say this. Some even say that Bell proved it. Boughn's explanations are clear enough, but it would have been nice if he quoted the respectable authorities who say that quantum mechanics is nonlocal. it would prove that he is not attacking a straw man, and justify writing a paper to explain some textbook material. Was Schrodinger wrong? "When two systems, of which we know the states by their respective representation, enter into a temporary physical interaction due to known forces between them and when after a time of mutual influence the systems separate again, then they can no longer be described as before, viz., by endowing each of them with a representative of its own. I would not call that one but rather the characteristic trait of quantum mechanics. Erwin Schrödinger, “Discussion of Probability Relations Between Separated Systems,” Proceedings of the Cambridge Philosophical Society, 31: 555–563; 32 (1936)"
Boughn didn't respond to a critic for some reason. 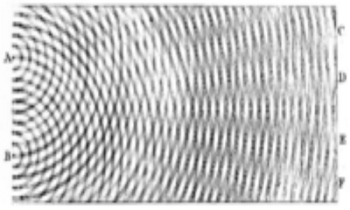 In the double-slit experiment, does a particle pass through both slits at the same time? Yes, I too would like to sample the quotations of the respectable authorities (who have over the years said that QM is non-local).